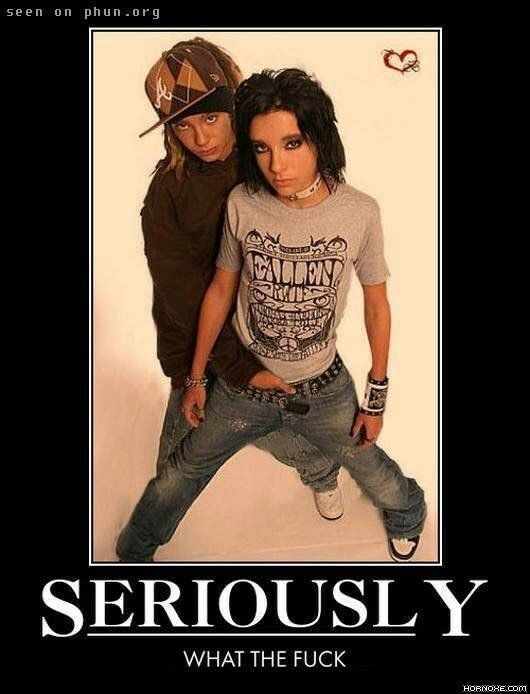 Tokio Hotel-Annoying. Annoying,worst ever. Wallpaper and background images in the Tokio Hotel club tagged: tokio hotel bill tom hotel twins gustav georg tokio gay worst. This Tokio Hotel photo contains धूप का चश्मा, काला चश्मा, रंगों, काले चश्मा, and रंग. There might also be हस्ताक्षर, पोस्टर, पाठ, चॉकबोर्ड, साइन, साइन इन करें, ऊपर का कपड़ा, overclothes, ऊपरी वस्त्र, ओवरक्लाइट, hip boot, and thigh boot. Hope, that you all know, that this isn't true! Yeah, that's a well-known fake. Honestly anjellybelly go away and take your jerkfacey comments with you!!!!!!!!!!!!!!!!!!!!!!!!!!!!!!! !